Winter returned to Minnesota on December 4th, with plummeting temperatures and a blanket of wind-swept snow. An intensifying area of low pressure centered over south central Minnesota at noon allowed warm and muggy air to surge into the region, with air temperatures in the middle 50s to lower 60s, and dew point temperatures not far behind. The Twin Cities set a record high air temperature of 57, breaking the old record of 56 degrees set in 1941. An even more impressive record was set at Rochester, which reached 64 degrees. The dew point temperature in the Twin Cities reached 55 degrees, a record for the date as well, and the second latest date since 1902 with such a high value. Rain showers developed in the early afternoon as winds switched to the southwest and then west. 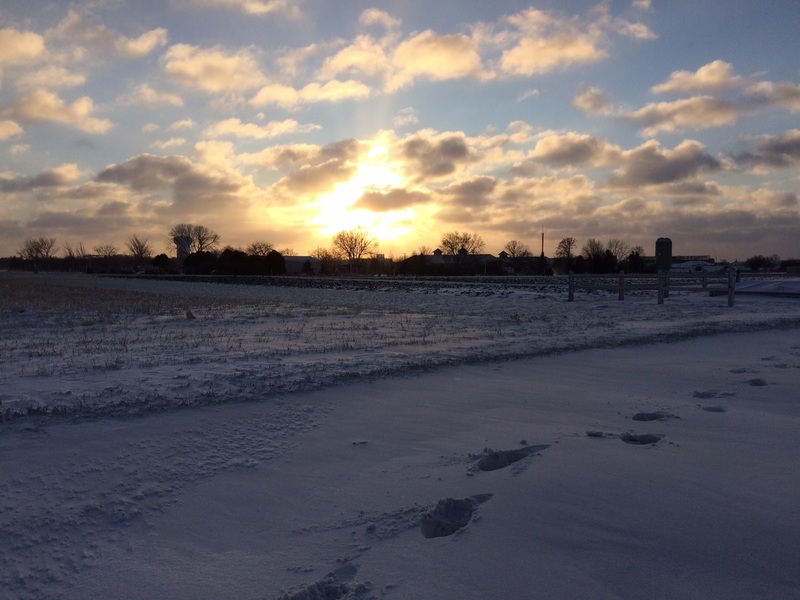 By late evening, the center of low pressure had moved to Duluth and cold air and snow swept across central and southern Minnesota. The snow, combined with wind gusts of 40-50 mph, reduced visibilities dramatically, even in urban areas. For 2-3 hours, the storm had the appearance of a major one, with howling winds, bursts of heavy blowing-and-drifting snow, and roads icing over quickly. The air temperature in the Twin Cities fell from 57 degrees at 2pm, to 27 degrees by midnight. During that time, most roads in Minnesota became difficult at best, as sheets of ice and snow-packed surfaces developed. There were two main bands of snow. One heavy band of snow fell in northwest Minnesota with 8.5 inches reported eight miles east of Thief River Falls. The heaviest snowfall total reported was 10 inches near Wannaska in Roseau County. Light snow continued to fall over northeast Minnesota during the day on December 5. Another band of snow moved through the Twin Cities from 8pm to around midnight during the late evening of December 4, reducing visibility to a 1/2 mile at the Twin Cities International airport with snow and winds gusting to 40mph. The Twin Cities International Airport saw 2.1 inches of snow by midnight.